America’s Public Bible - Biblical Quotations in U.S. Newspapers. 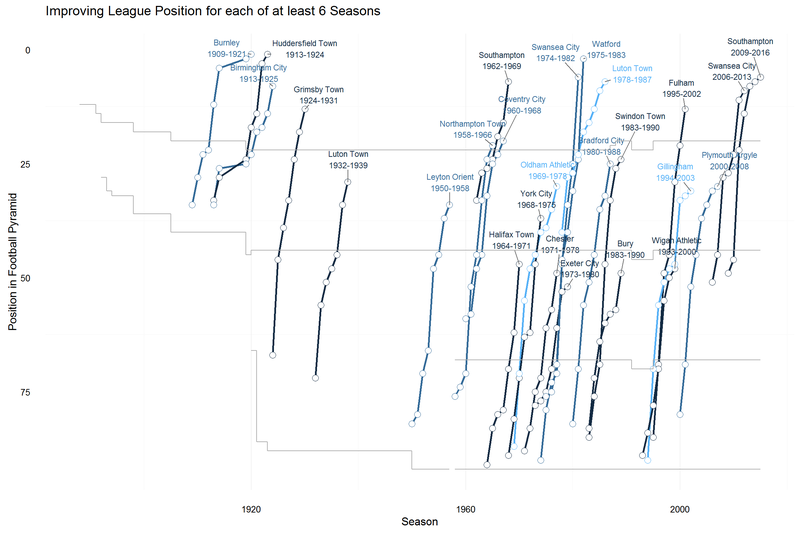 Improving Season on Season - engsoccerdata contains complete historical soccer results of major European leagues. How many teams have had runs of six seasons or more of successively improving their league position? 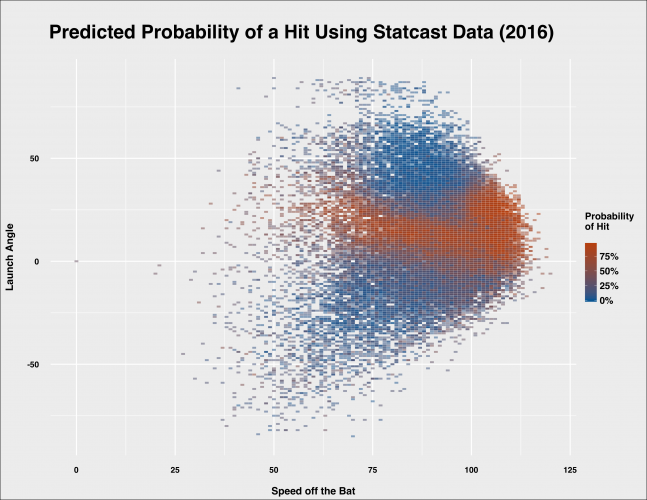 Using Statcast Data to Predict Hits - Model/predict batted ball outcomes with Statcast data. Set up a twitter filter stream before a conference to properly check out the zeitgeist! tidyr 0.5.0 - Easily Tidy Data with spread() and gather() Functions. jsonlite 0.9.22 - Distinguish between double and integer. geojsonlint - Tools for Validating GeoJSON. githubinstall - a more helpful way to install or query R packages hosted on GitHub. lazyrmd - make the R Markdown-generated html faster by lazily loading htmlwidgets plots. xda - Introducing xda: R package for exploratory data analysis. listviewer - R htmlwidget to view lists. assertr - Assertive programming for R analysis pipelines. SnakeCharmR - A modern #rstats package that allows you to call Python code from R .
sessionInfo() has been updated for Apple’s change in OS naming as from 10.12 (macOS Sierra). toLatex() method now includes the running component. as<-() avoids an infinite loop when a virtual class is interposed between a subclass and an actual superclass. Fix level propagation in unlist() when the list contains zero-length lists or factors. Fix S3 dispatch on S4 objects when the methods package is not attached. Internal S4 dispatch sets .Generic in the method frame for consistency with standardGeneric() (PR#16929). Fix order(x, decreasing=TRUE) when x is an integer vector containing MAX_INT. Ported from a fix Matt Dowle made to ‘data.table’. 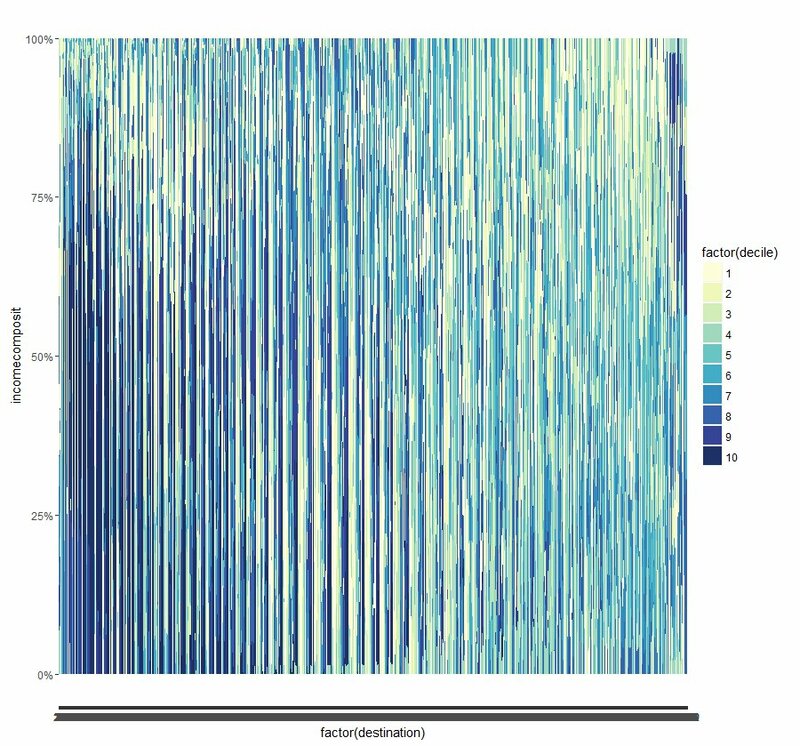 Unintentionally creating abstract art in #rstats #ggplot2 If I fail my PhD, I’ll try to sell my plots to an art gal.